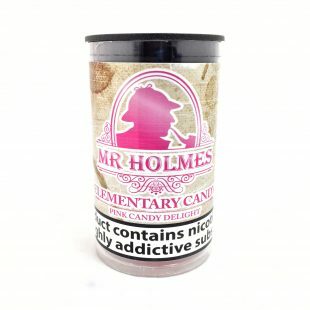 Founded by Mr Holmes himself, these e-liquids are the best of the best.  With over 5 years of working in the e-liquid industry the mission was to craft the most unique, tested, highest quality e-liquids the vaping industry has ever seen. 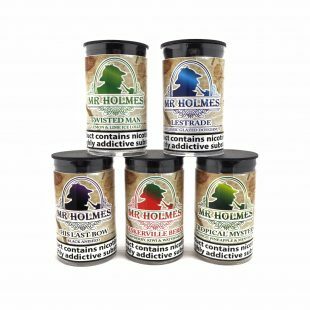 Each flavour can bring an exciting experience to every vaper. 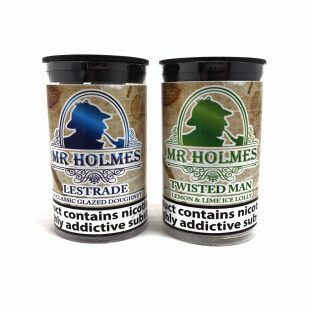 Literally months of development has gone into the Mr. Holmes E-liquids ensuring that they are mixed to perfection to offer the best vaping experience possible. 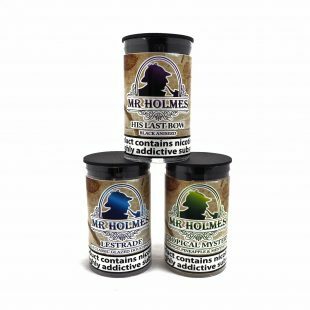 Sourcing specialist flavours from across the globe, Mr Holmes is confident that there is no other e-liquid that will match these exciting flavours. 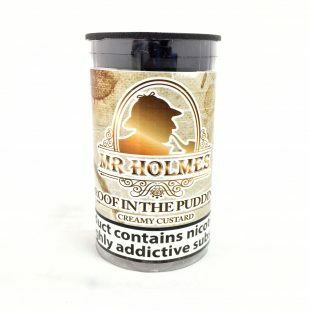 Are you ready to tantalise your taste buds? 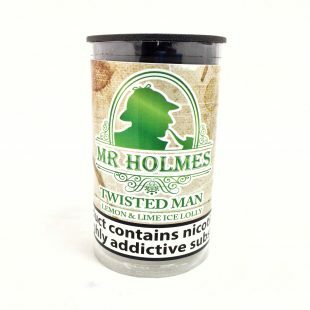 Lemon and Lime Ice Lolly in 3x10ml TPD compliant tubs! 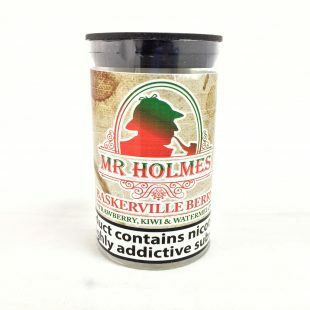 Strawberry, Kiwi and Watermelon in 3x10ml TPD compliant tubs! 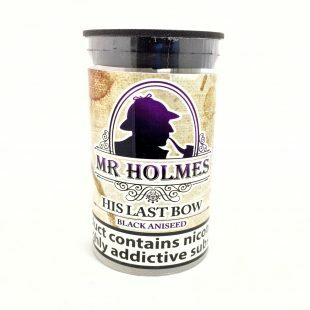 Black Aniseed in 3x10ml TPD compliant tubs! 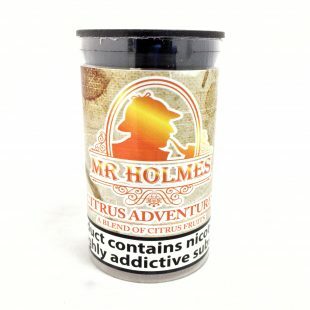 Citrus Fruits in 3x10ml TPD compliant tubs! Lemon Tart Pie in 3x10ml TPD compliant tubs! 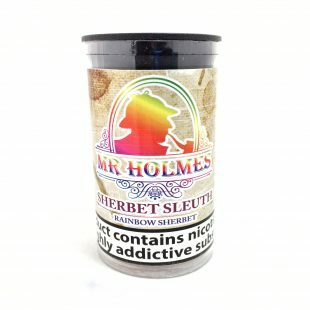 Rainbow Sherbet in 3x10ml TPD compliant tubs! 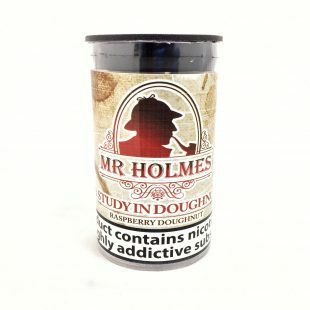 Raspberry doughnut in 3x10ml TPD compliant tubs! 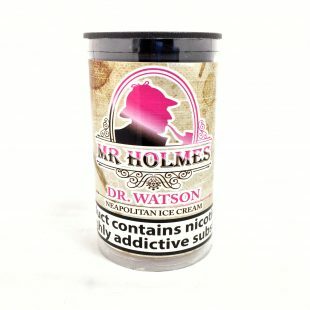 Neapolitan ice cream in 3x10ml TPD compliant tubs! Apple and cinnamon muffin in 3x10ml TPD compliant tubs! 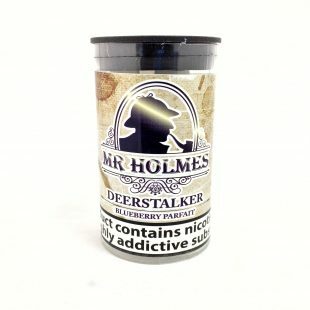 Juicy flavours with a massive fruit explosion in 3x10ml TPD compliant tubs! 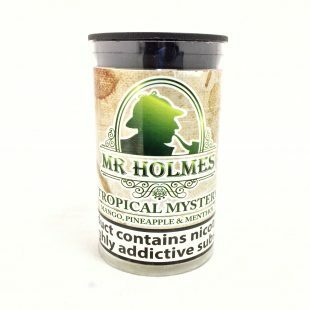 Mango, Pineapple and Menthol in 3x10ml TPD compliant tubs!